Lay the 2 pieces to be joined side by side on a flat surface, with right sides facing up (for a right side seam) or wrong sides facing up (for a wrong side seam). 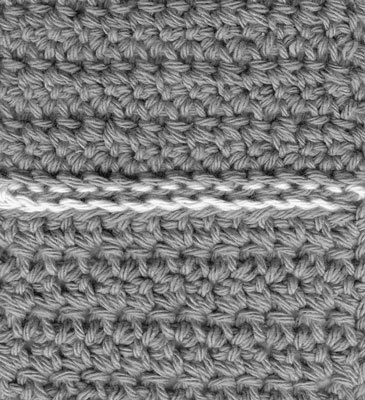 Check that the stitches across each edge match before moving on. Working in the top loops of the stitches only and using the same size crochet hook you used in the design, insert your hook through the loops of the first 2 stitches, leaving a yarn tail several inches long. The figure shows the correct positioning of the hook in the loops. Creating a flat seam by slip stitching. 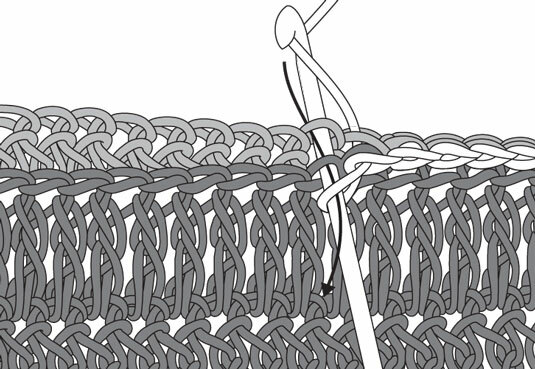 Pull the yarn through the loops and repeat Steps 2 and 3 in each stitch across. Fasten off and weave in the ends. This figure shows you what a completed flat seam should look like. Two pieces joined with a flat slip stitch seam.